Here at Hallmark, we love celebrating holidays. And at Hallmark Business Connections, we love celebrating business holidays. One of our most favorite days to celebrate all year is Customer Experience Day (also known as CX Day). Today, we celebrate the 6th Annual CX Day. CX Day, sponsored by Customer Experience Professionals Association (CXPA), is a global celebration that honors great customer experience and the professionals who make it happen. Last year, we joined thousands of others with CX Day online events, company celebrations and local networking get-togethers. This year, Hallmark Business Connections is a sponsor of CX Day, and we are more excited than ever to be a part of the event. Our contribution to the day was something uniquely Hallmark: a custom card sent to hundreds of CXPA members to help them celebrate CX Day. 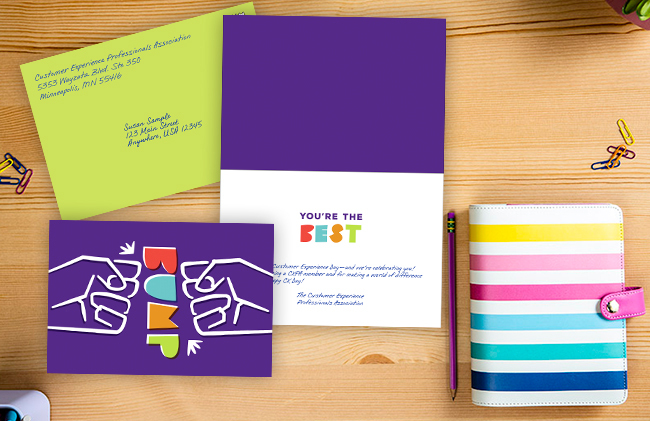 On the card, we made sure to include CXPA brand colors and match the organization’s overall voice and tone so that it felt like a genuine Hallmark moment that only CXPA could deliver. Although we created this card to celebrate customer experience professionals on CX Day, it can be sent for other occasions, too (thank you, customer appreciation, employee recognition, congratulations, etc.). And we know that CXPA plans to use it all year long to recognize its members and partners for the outstanding customer experiences they help to create every single day. We are absolutely thrilled to celebrate our partners, customers and employees who specialize in providing stellar customer experience—day in, day out. After all, customer experience is a huge part of our business. 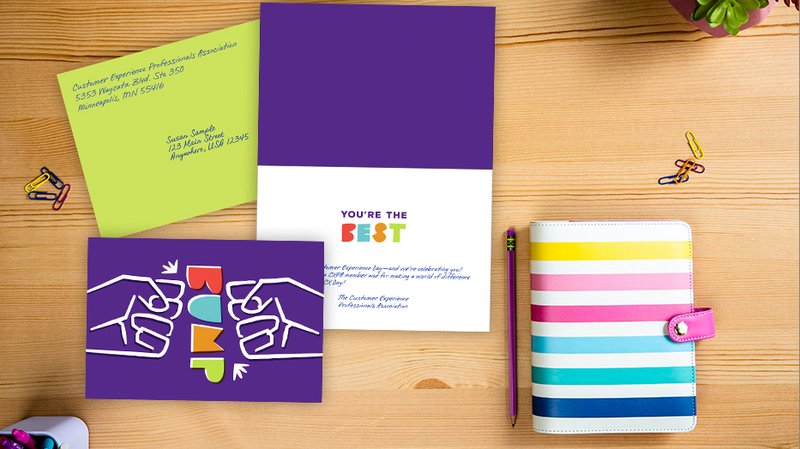 We create custom greeting cards and awards for hundreds of brands to make both their customer experience and employee engagement stronger and more authentic. Find out how here.